Collecting Asylum: Entries to the Asylum - Friday 16th September 2016. Entries to the Asylum - Friday 16th September 2016. 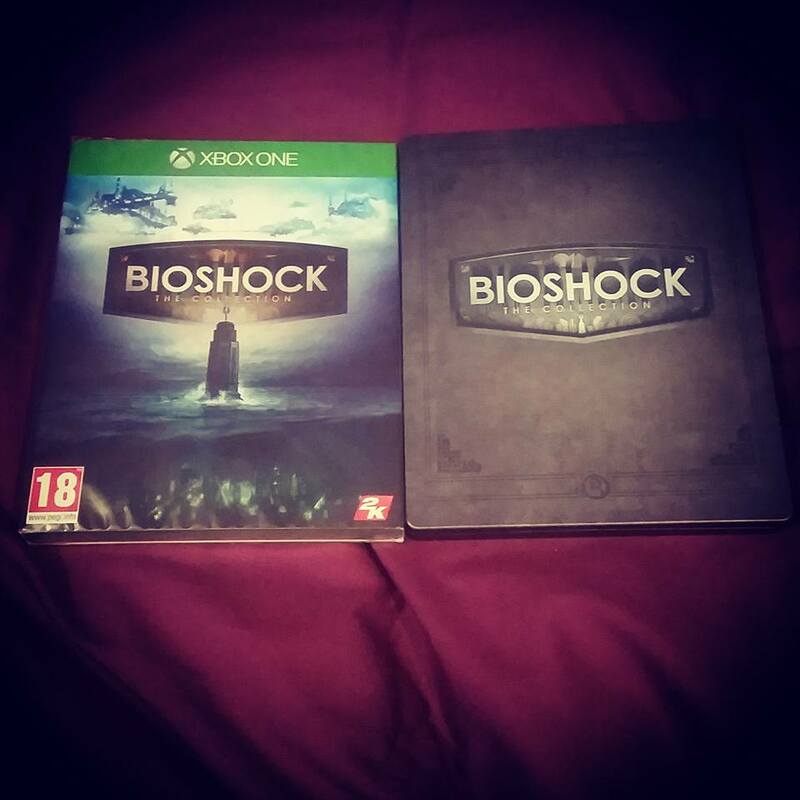 - Bioshock The Collection [Xbox One]. - Bioshock The Collection Preorder Bonus Steelbook. I should also have received the ReCore Collector's Edition, but as is normally the case lately, GAME fucked up my preorder, (this also applied to Bioshock but luckily that one was fixable), so I will have to collect the CE from my local store tomorrow. I'm really glad I got the Bioshock The Collection right now. Initially I was going to wait for a bit as I've got such a huge backlog right now, but I figured the steelbook would likely be gone so didn't want to risk it, and well, I'm glad I didn't. 1. Because the steelbook is already pretty much gone, and 2. Because the game is in a beautiful foil slipcover (the photo above really does not do it justice! ), which is something I massively appreciate, and know that often further down the line, the copies no longer have these. Slipcovers are something that, while not the fanciest of packaging, I really enjoy. Especially when they are as pretty as this one. They make the case so much nicer than just a boring old amaray, so if a game or movie, or whatever, has no "Special" editions or anything, but does have a slipcover, then I'll do my best to get it. And while they used to be fairly common (especially on standard blurays), they seem to be a bit few and far between of late, particularly with games. I can't wait to play through all of the Bioshock games in all of their remastered glory, but first I'll need to reduce the backlog a little, get a few reviews up, and then I'll move onto it. And since poor Allan is currently in the hospital (kidney stones, ouch), I've got full control of the TV, so can actually get some games played for once! Muahahahahahaaaa. What new stuff have you received lately? Asylum Reviews: Bears Can't Drift!? [PS4]. Asylum Reviews: Dangerous Golf [Xbox One].